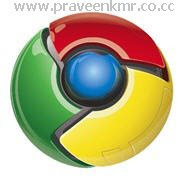 The Beta 2 of google chrome has been recently released. 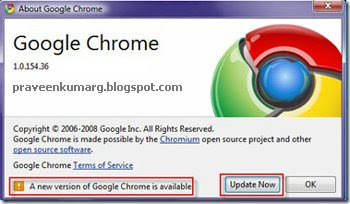 But it will not update your google chrome browser to beta 2. This will happen only after you change its update channel. The best thing about this Post is that you can always choose to get the latest version whenever it gets released. Select the “Dev”, option and click update. This will show a small window like below, on this you will see current version, like 1.0.154.36 as shown below, also you will see notification “A new version of Google Chrome is available” , click on “Update Now” button. This will start the update. Step3: The update will finish in a few minutes. Simply close the google Chrome, and run it again, and that it, its done. 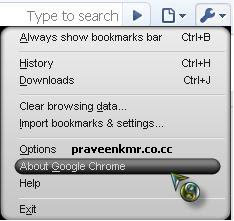 you can verify the version by opening the about google chrome in settings,below you can see the version 2.0.156.1.